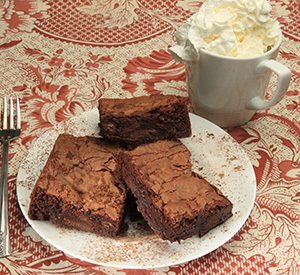 Made with our secret blend of three different Valrhona chocolates, our Extra Fudgy Chocolate Brownies have an incredibly deep, rich chocolate taste. Ruths Extra Fudgy Brownies are HUGE. Each is 3" x 3" and weigh nearly 5 ounces each. That makes them twice as big and twice as delicious, as the fairytale competition! 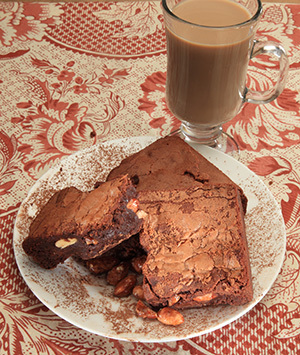 Buy Ruth's Gourmet Extra-Fudgy Brownies on-line. 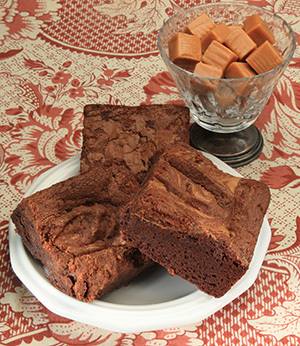 Our distinctive pink packaging makes our gourmet brownies online a great gift anytime. 12 Delicious Flavore To Choose From! 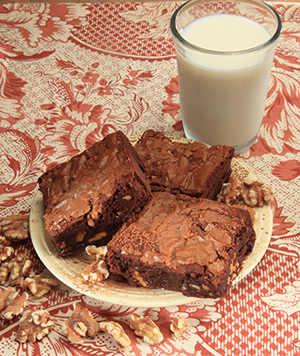 Toasted, sugared English Walnuts give this incredible Extra Fudgy brownie that extra kick. Perfect any time of day or night. 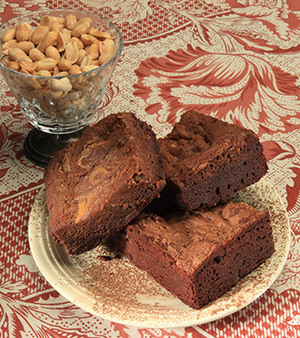 A generous helping of natural, organic peanut butter swirled into the batter gives thesefudgy brownies a rich, nutty flavor that makes it the favorite of many. 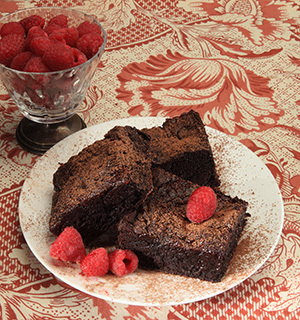 Raspberries and chocolate... a perfect combo! 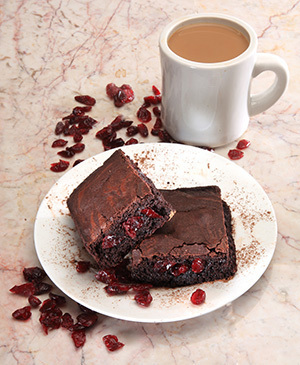 Freeze-dried raspberries and a generous helping of raspberry jam give these incredible Extra Fudgy Brownies their signature taste. For Chocoholics! 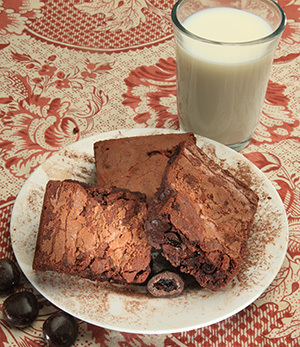 An extra handful of Valrhona chocolate feves give this extra fudgy brownie an even greater and more pleasing chocolate taste experience.